Mixing is becoming increasingly important in the widest variety of processes. Today’s products often comprise a magnitude of ingredients such as stabilizers, thickeners, gums, sugars and other additives. This offers a challenge to customers to provide a consistent blend quality in the most efficient manner. 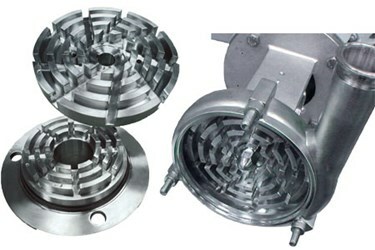 SB Series food processing high shear blenders can help with these challenges. To meet this challenge Ampco has developed three types of shear blenders that are based on our popular LF platform. This means shared wear items for your pumps and easy piping solutions. The wide range of mechanical seal materials (single and double mechanical) and elastomers from the LF line are also available to fine tune the shear blender to the customer’s needs.